Bit Equity LTD	+6.4	Received Payment 6.4 USD from account U17381830. Memo: API Payment. 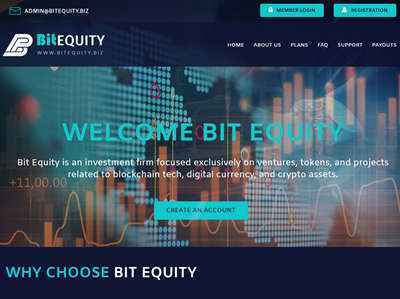 Withdraw to FairMonitor from bitequity.biz. Bit Equity LTD	+3.6	Received Payment 3.6 USD from account U17381830. Memo: API Payment. 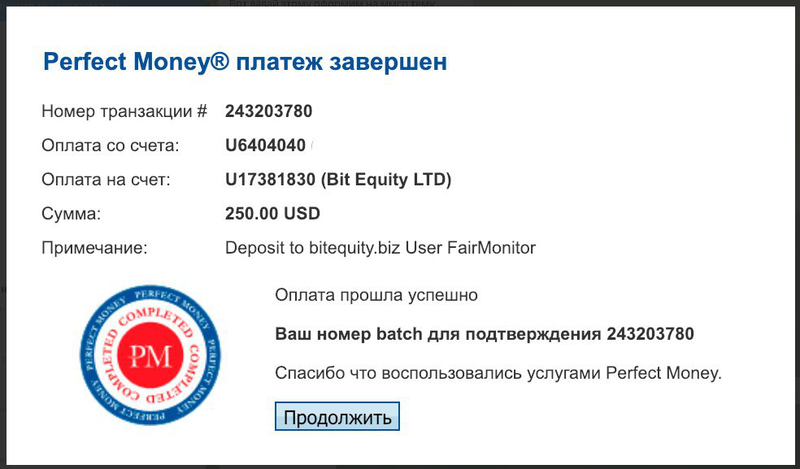 Withdraw to FairMonitor from bitequity.biz.